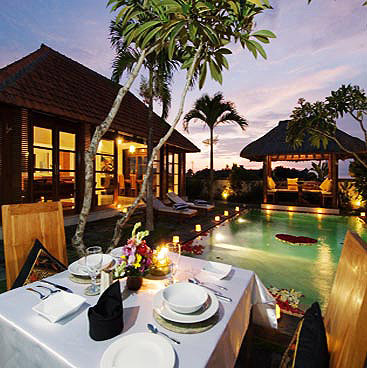 Accommodation in Bali has its extremes where luxury hotels and villas dominate and where you can relax and totally unwind together with your family in spacious, comfortably furnished living & dining areas and large air-conditioned accommodation. And you’ll enjoy the tropical garden and the privacy around your own swimming pool. Most villas complexes have trained spa therapists, car & driver from your arrival until your departure, a chef is available if required and daily servicing.